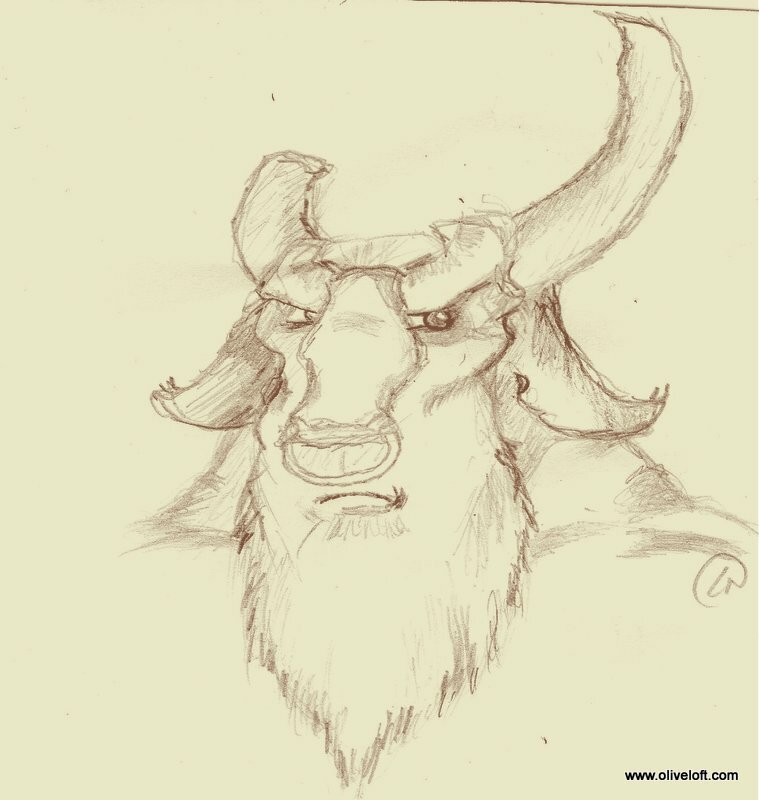 Batoonsta is a minotaur ferryman. He hauls goods through the jungles of Carinth for the trolls. Batoonsta had his tongue cut out by a troll when he argued about navigating a waterfall. The minotaur was correct in his assessment and the cargo was lost; but that would not bring back his ability to speak. Trolls don’t apologize. Minotaurs don’t forget. 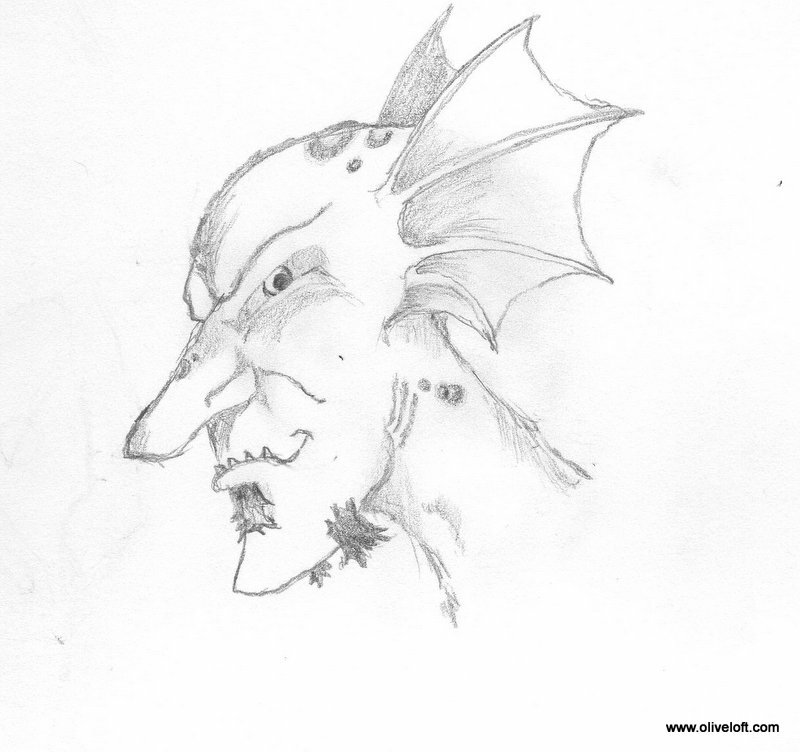 Eel-Eye is the nephew of the troll king, Makomaw. 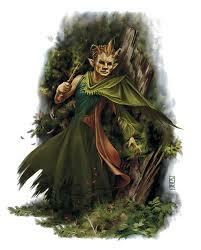 He is trying to prove himself by picking up the troll tithe offered by the elves of Carinth. He is young by troll standards, which makes him even more dangerous. When someone longs for approval, they are known to do most anything. Eel-Eye wants his uncle’s approval more than anything. These characters will appear in my short story series Ties That Bind. You can read past chapters to catch up here. I have decided to compile a list of some things I had to learn the hard way. 1) I was never meant to be a pro athlete. This was a lesson that I should have learned when I graduated high school at 5’3″ and weighing a whopping 95 pounds. Still, I believed I was tough enough to overcome. I was not. I got elbowed in the face in soccer, all the time. My face was right at elbow level, I guess. I could lay down a mean bunt in baseball, but that is only a surprise the first at bat. 2) Sometimes what you want is not what you need. This explains itself. If you need help understanding it, break it down into smaller pieces. 3) Pay Bills on time. I failed to understand the importance of this until just recently. Now that I need a loan on a house, all of those late Circuit City bills hurt. Luckily, my wife was much better at this than me. This leads me to number 4. 4) Break household responsibilities down into what you are good at. I obviously was not good at handling money. My wife handles that. I do the laundry. She cooks our meals (Thank God) and I take out the trash. Make the system work for you. Do not be too proud to relinquish responsibilities. 5) Make fun of yourself. There is nothing more frustrating than someone who takes themselves too seriously. 6) Learn how to watch movies WITHOUT talking. Have you ever watched a movie with someone who simply could not stop talking? Hate it. I don’t care if I have seen the movie 412 times; respect the silence. 7) Make your own lasagna. Boxed lasagna just doesn’t hold a candle to the real thing. 8) Sing and Dance. It doesn’t matter if it is in your car or shower; rather in your living room or in the streets. Your life will be better if you sing and dance. A single figure padded along in a field of tall green grass. He carried a walking stick and wore a sedge hat to keep the sun from stinging his sensitive eyes. A light breeze created small waves in the grass, and kept sweat from pouring from the dark skin of the walker. He raised his head and surveyed his surroundings. The dwarf could see the coastline in the distance. It would not be long and he would fulfill his harmless quest. Pnils Silentstone could not have known the ignorance that separated him from his goal. The dwarven monk heard the footfalls of two horses long before he could actually see them. Pnils knew that he was close to the stronghold of the Knights of the Coast, but had hoped to avoid any contact with the dishonored group. Now all he could do was try to get through the encounter without hurting anyone. “Oh, nor do I!” Pnils agreed. “One can ruin a whole community if not stopped. One bad apple, they say.” The dwarf’s eyes had adjusted enough to read the confused look on the knight’s faces. “Oh, you were focusing on the ‘dwarf’ part of that statement, whereas I was referencing the ‘trash’ part.” The men were low ranking in the order of knights; Pnils could tell by the lack of a symbol on the breastplates. One of the knights was older, which meant that he lacking in some way to be of such low rank at that age. The other was young, his facial hair soft having never felt a razor. Still, they were heavily armored and on horseback. The dwarf knew if a fight came, he would have to set the battlefield in his favor. “I should run you through for mutiny, little dwarf,” the older man barked. “Or you could just let me live my life,” Pnils answered the threat kindly. “Let me catch sight of those whales before it is too late.” He pointed to the coast. The younger man kicked the dwarf in the back of the head. “Silence!” he shouted. Pnils did not even rub his head. He slowly turned to the boy knight and stated, “You should have kept that spear on me.” He slapped the horse in the ear, causing it to rear. The young knight struggled to stay mounted. The older knight plunged his spear toward Pnils’ chest. 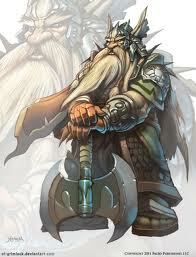 The dwarf caught the spear thrust; his strong arms keeping the tip inches away from his heart. Then, in a display of raw power, he reversed the thrust and the older knight flew from his horse. Before the man could rise, Pnils punched him in the side. The armor dented with the force and the man struggled to draw breath. The younger knight jumped from his horse and drew his sword. He was terrified, and showed it by the wavering of his heavy shield. In a matter of moments the dwarf had the knight disarmed and unconscious. Pnils walked over to the older knight who still labored for air, and he punched a different spot on the armor. The second blow relieved the pressure and allowed the man to breathe again. “Thank you,” the man managed through heavy breaths. “You could have killed us both, and we would have deserved it.” The man reached into his armor and snatched a necklace from his own neck. He shoved it into the dwarf’s hand. No more words passed between them as they parted ways. As Pnils watched the whales migrate near the coast, he fingered the necklace. It was a symbol with a forked whale tail jutting from the water. The waves crashed around him and the whales crested and played in the sea. A small human boy was watching the whales a little farther down the beach. Pnils walked over to the young boy. “Aren’t they magnificent?” he asked. Bynn tapped his foot nervously as he sat outside one of the guest bedrooms in his home. His eyes burned from lack of sleep. The young elf had ignored all urges to clean up and rest. How could he rest while his mentor battled for every breath? Vaidon had lovingly grabbed Bynn’s hand before she went in to see her father, and she dismissed his apologies with a wave of her hand. Had it already been a full day since she had gone in? Bynn’s mind, exhausted from the trauma of the hunt and lack of sleep, kept replaying the scene with the terror birds over and over again. The young elf went over every possible scenario to try to figure out what he could have done differently. What could I have done to save Kaa? Bynn played the scene again, this time from the perspective of Kaa. 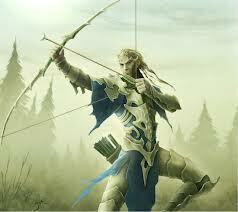 He looked across to where he should have been charging with bow in hand; but he saw Vaidon instead. She pointed and laughed at him. 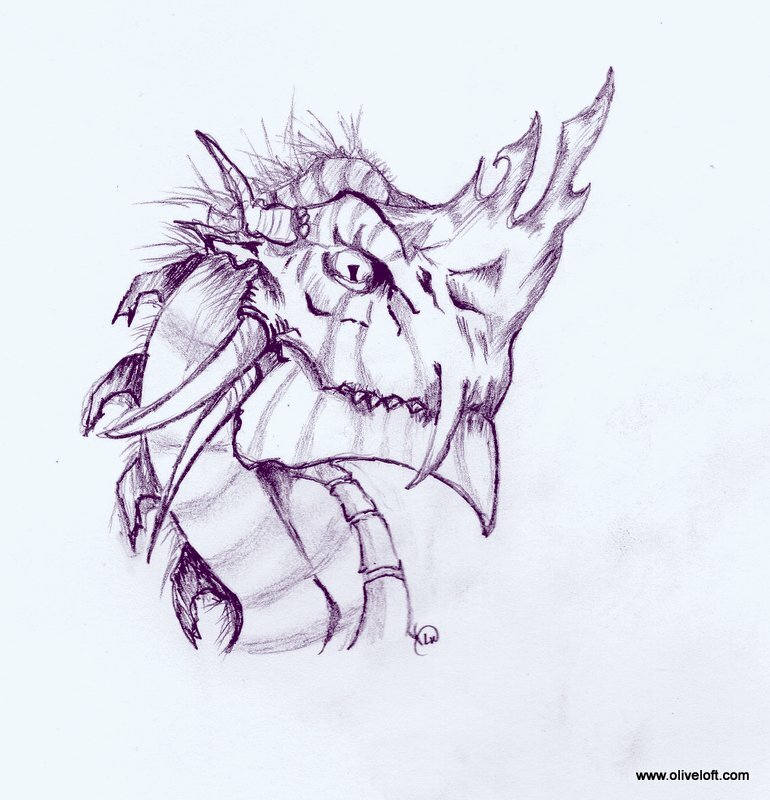 Bynn turned and saw a huge violet dragon. He felt the sting of the tail on his shoulder once again. He screamed and jumped. “How is he?” Bynn asked. He stood and tried to shake the nightmare from his mind. “And I will love only you,” Bynn pulled her hand up to his lips and kissed her fingers. The two elves shared a smile, and then Vaidon remembered her father. “Go and talk to him. He is waiting.” Bynn had to take a few deep breaths and get the smile off his face before he walked into Kaa’s room. While waiting for Munkus to return, Spores and Stumpy passed the time by playing a game. A sloth was trying to sleep, hanging upside down and curled up in a tree. The groundlings were using the small fungi that grew on the sloth’s fur to tickle the poor beast. Every time the sloth would get comfortable, they would mess with him. “What are you two doing?” Munkus asked as he strolled up behind the two distracted groundlings. They knew that Munkus would not approve of their torturing the animal, so they lied. “We were just watching that sloth,” Stumpy stated. They both stared up at Munkus and nodded their heads. “How do you think they reacted?” Munkus asked as he cocked his head to the side. The leonal groundling’s eyes were wide; almost maniacal. 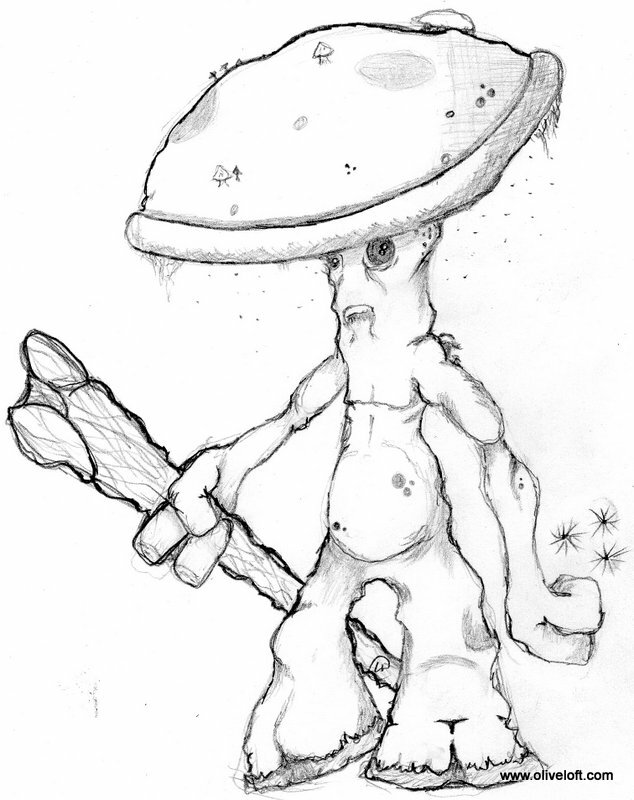 Spores lowered his mushroom-capped head, and took a step back. He had never seen Munkus like this. “Because that is not Munkus,” Spores said in a voice full of somber acceptance. 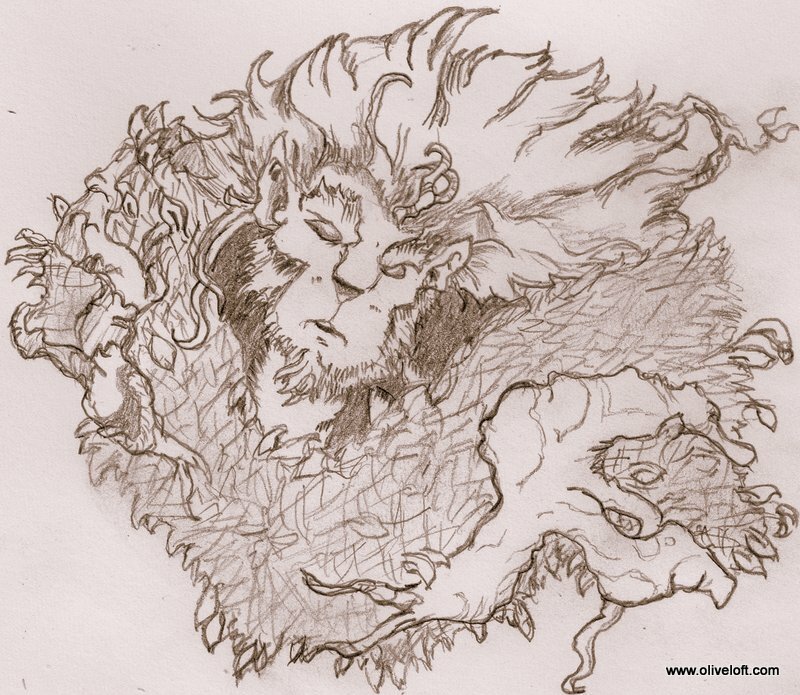 The lion-like visage disappeared; replaced by the snarling face of Tiranis. Her egg tooth was inches away from Stumpy’s wooden nose. She snapped her head forward and crunched on the confused groundling. Spores did not even try to run from the dragon. He knew it was useless. Spores expected no mercy from Tiranis; and he was not disappointed. “Of course,” Bynn flexed his bicep muscle, “I just let you climb right up here and took you for a ride.” Both elves laughed heartily. Kaa was glad to have Bynn in the room; everyone else had seemed so somber and the hunter enjoyed being able to laugh with the younger elf. “Won’t be much good to me now, but it was still good thinking,” Kaa was proud of his young protégé. “So how did you get me back to your house?” The question had been nagging at Kaa since he woke. “He was going to talk to the elders, but that was yesterday. He said he had something to give them.” Bynn wished he had more information to give Kaa, but he had wanted to stay close. Kaa did not press any further. He was glad Bynn had been close. The two elves continued to talk for a while until Kaa got tired. However, before he fell asleep he asked if Bynn would stay in the room as well. Moments after Kaa let himself succumb to slumber; Bynn was snoring in the chair next to him. They both deserved the rest. “As am I!” Tiranis proclaimed violently. Munkus pushed the dragon’s face away. “What madness is this?” He felt himself dying, yet he did not die. A piece of the groundling died, and it was replaced by the desire to do the dragon’s bidding. 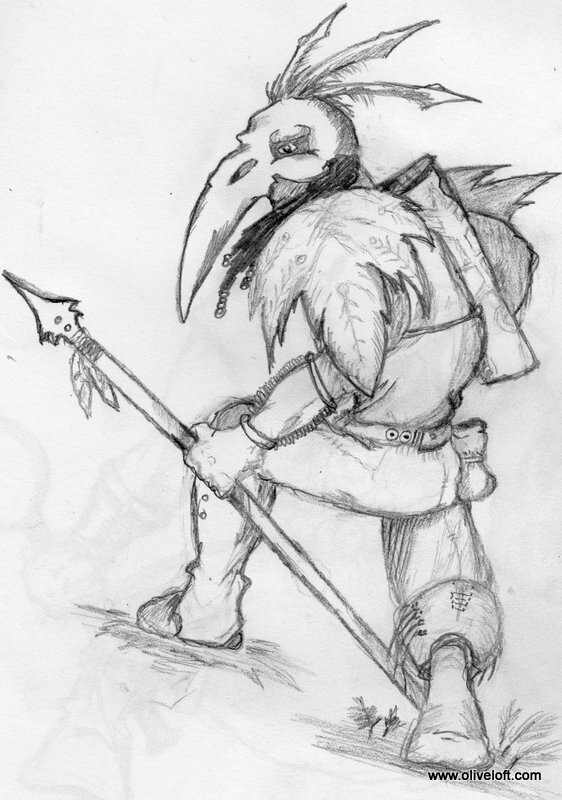 Munkus the groundling protector was dead; in his place stood Munkus, the undead servant of Tiranis. That is right, folks; Rolo is the winner of the anteater naming contest. I would like to thank FOTS Fantasy for the winning submission, and also thank everyone for their great ideas. Some of you may remember a while ago I posted a picture I drew of a man in a skull helm. 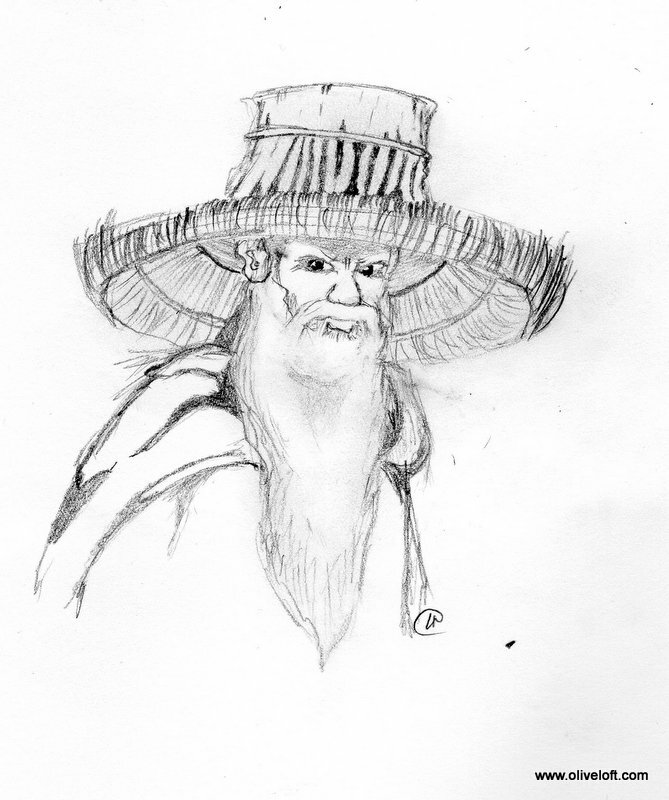 I decided to use that drawing for Qari. These two characters are enjoyable to write about. I look forward to advancing their storyline. That brings me to the blood monkeys. They, too, will be further explored in the coming chapters. 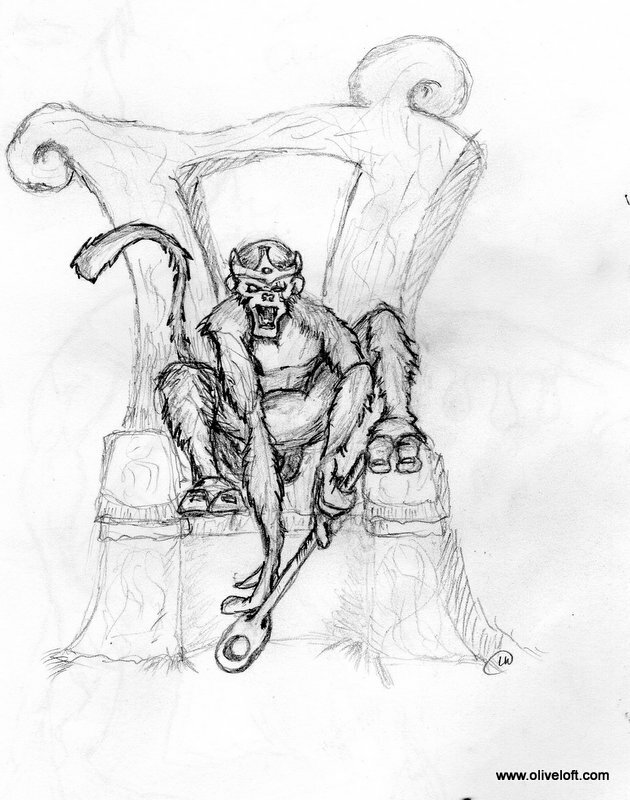 I like the idea of vine strewn temples offered up by Monkey Blood. Some of the blood monkeys will have been taught speech by the demon monkey. They make spears and other crude weapons and tools. There will be a few surprises in their society, however. Every race has an elite fighting group. Usually it works independently of the military forces. The Knights of the Coast may have lost their honor, however they still possess one of the finest fighting forces in Delphia. Their armor and weapons are fine and they are trained to fight on horseback. 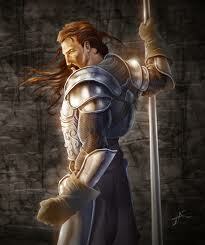 The Keepers of the Vale is an elite group of fighters that was created by King Arrington and Randall. They maintain the code of honor common to knights. Although not as powerful as the Knights of the Coast, they are still a potent force. The Delvers are the dwarven elite. They are chosen at a very young age, usually from noble families; then they are trained for a hundred years before they are ready for service. They are taught to have no feelings; not even for one another. Their mission is the only thing that matters. The dwarves have to be very careful when they send in the Delvers. Crimson elves keep Alhaven safe, usually without the knowledge of the elves that reside there. When the elves declare neutrality in the War of Hoarded Magic, Crimson breaks off and sets off to lend aid where they are needed. The Dark Clover gnomes are assassins and spies. They are so embedded into society that family members may not even know that one of their own is part of the Clover. Although Oliveloft has known peace for many years, the Dark Clover have continued to operate. A Clover gnome could be laughing one moment, and putting a dagger in someone’s back at the same time. The Yellow Hand are the protectors of orc magic. They consist of some great warriors and magic users. The Yellow Hand are far more peaceful than the other orcs. However, being peaceful does not mean that they are not dangerous. Red Hand orcs are savage killers. 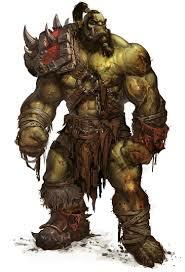 Only orcs who have shown an enormous amount of pain tolerance are allowed to train as Red Hand. They are usually sent in to cause chaos and carnage. A dragon clutched a smooth moss agate stone in her claws. It was the Heart of Carinth, a magical stone that gave whoever held it power over the earth magic of the island. The dragon dug a small hole in the soft ground; she used her long slender claws to easily move the earth. Then, she gently placed the Heart into the small pitted area. She pushed the dirt on top and patted it down with her heavy back legs. The dragon said a long string of magical phrases, while she stood over the buried stone. After several moments of repeating the mantra, the spell seemed to take hold. The ground seemed to ripple, like a stone tossed into a puddle. The small waves rolled out into the forest. Birds were unsettled from their perches, and monkeys clung to the trees as it washed over them. The dragon was satisfied with her work, but she was exhausted. She laid down on top of the buried stone. She knew she was vulnerable, but had little choice; the magic had drained her. The large violet dragon fell asleep. A small fungus creature felt the ripple beneath his feet. He felt the call from the Heart of Carinth, and he could not deny it. His feet, which almost resembled those of a horse, carried him out from the hollowed log that had been his home for many months. He grabbed a thick staff, and headed toward the buried stone. His thick fingers picked up a pile of feces which he had been saving, and he shoved it in his mouth. The mushroom capped creature knew that he would not be coming back. A thick creature, covered in bark, had been rooted in place for some time. The shock wave knocked him out of his comfortable slumber. With a disgruntled shake, he pulled his legs from the soil and made his way slowly toward the beacon call. The creature backhanded a couple of frogs from their leaves as he passed. He knew his new mission would require work, and he did not like to slave for another. Munkus had been waiting for the call. He sensed that something big was happening on the island. Munkus knew the call, and sprinted on all fours toward it. He was the first to arrive where the dragon nested. At first, the groundling was surprised. A dragon held the Heart of Carinth. He would serve the most powerful creature on the island. Munkus watched over the sleeping dragon until the others arrived. He was proud to serve, and he was good at it.